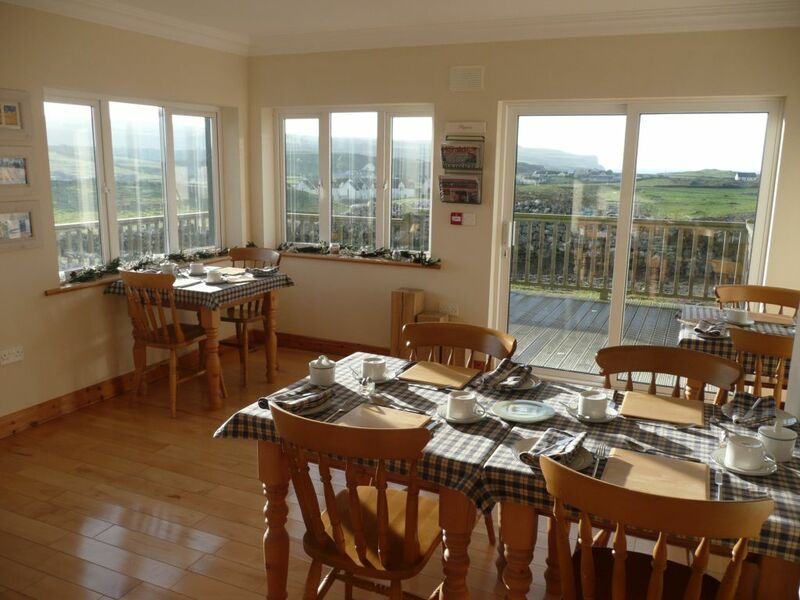 We pride ourselves at Doolin View in providing what we consider the best meal of the day (breakfast) so that each guest is ready to start the day. 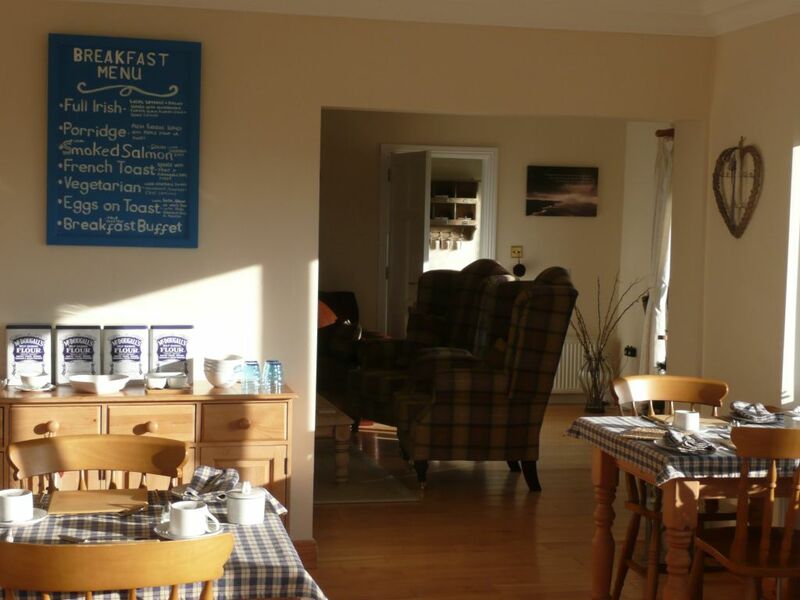 We believe in choice so we offer an extensive breakfast menu so that guests can enjoy whatever takes their fancy that morning whether it is from the deluxe continental selection or the Doolin View full Irish we have an option for you. We also cater for vegetarians but should you have any specific diet requirements please let us know in advance and we will be more than happy to provide this for you. 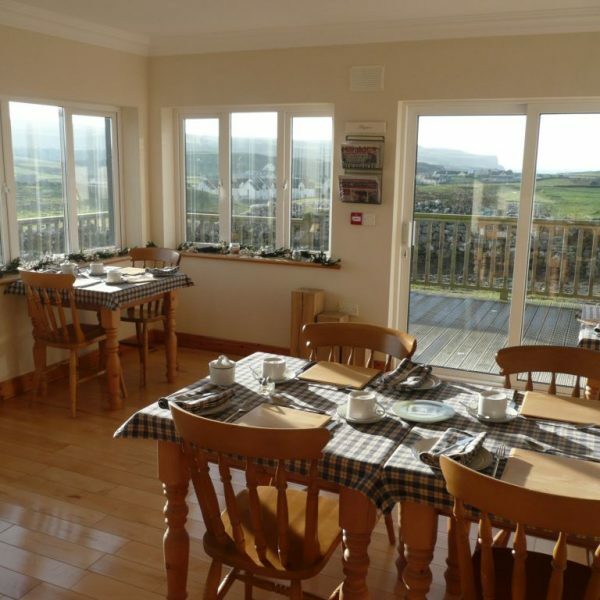 Breakfast is served in our dining room overlooking the open countryside and cliffs of Moher. 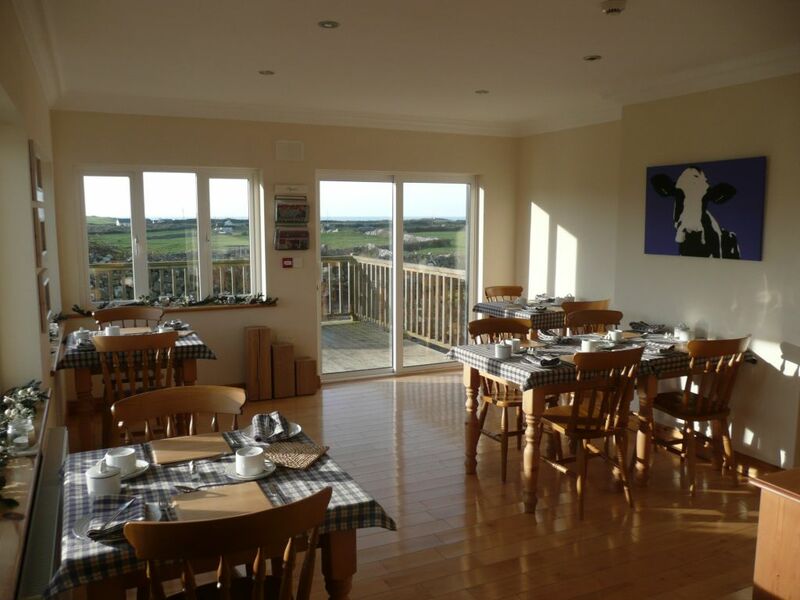 In the summer, when the weather is good, we can serve you breakfast outside on our decking area if you prefer. 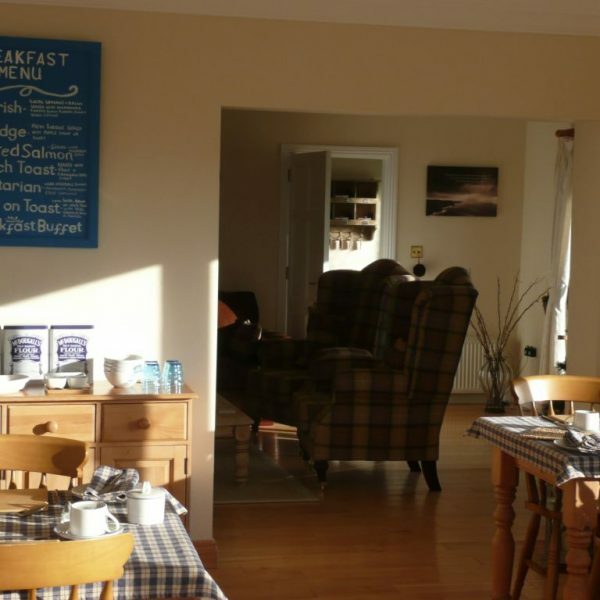 We endeavour to use local produce wherever possible to ensure the quality and provenance of our breakfast whether that is the local Doolin jam we serve on our breakfast buffet or the sausages and bacon in your cooked breakfast sourced from the local farms of Clare. Vegetarian – Herb & Potato Vegetable Sausage, Mushrooms & Tomatoes served with optional Egg of choice. 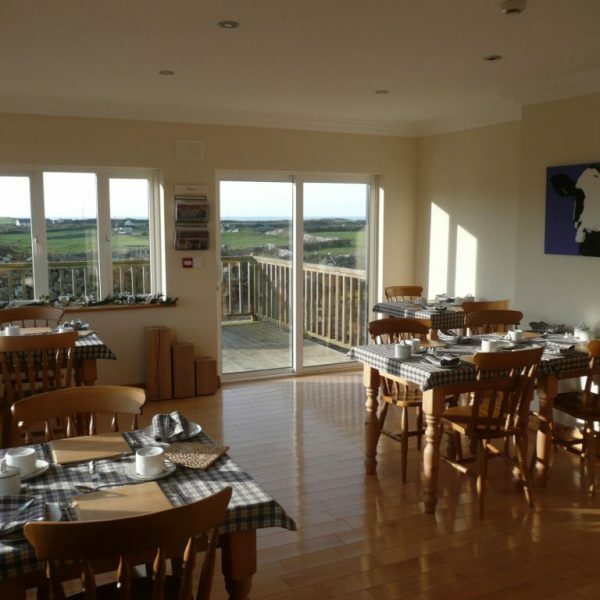 As far as we are able to, we source all our ingredients locally to the Doolin area. Please bear with us if our menu has to change or any particular item is not available during your stay. 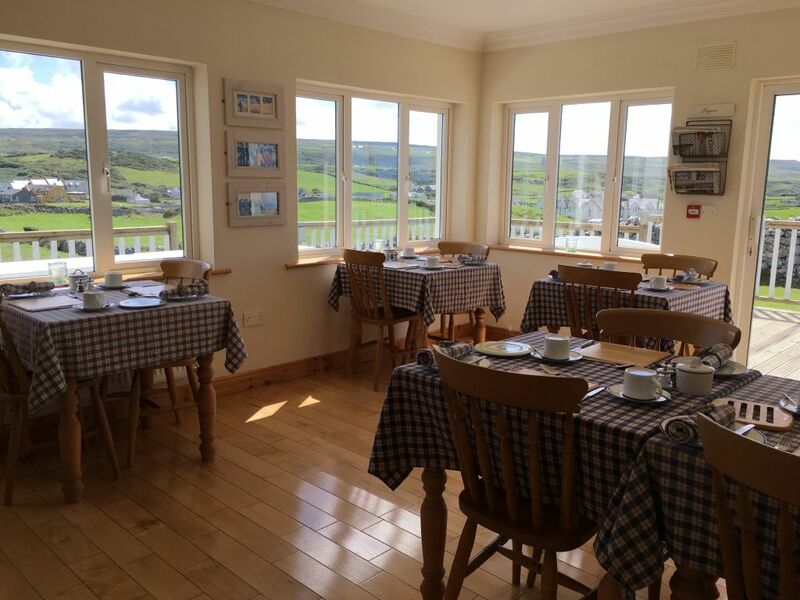 The comfortable and relaxed atmosphere we have created, makes Doolin View Bed & Breakfast the perfect accommodation to explore the local attractions; the Aran Islands, Cliffs of Moher, Lahinch beach, The Wild Atlantic Way and The Burren are all on your doorstep. 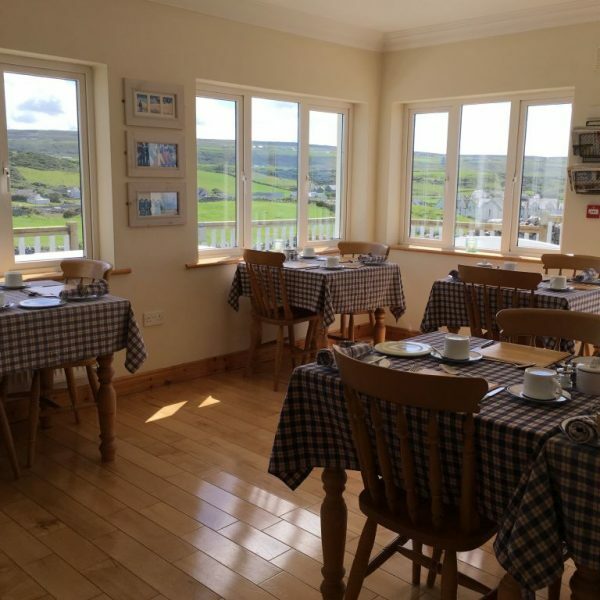 Make Doolin View Bed & Breakfast your accommodation destination and enjoy a truly relaxing memorable break in the wonderful, calm atmosphere of this stunning property and its fabulous location. Take 2 mins to enjoy the video and we look forward to seeing you soon!